Leather: Call for Price and Availability. Manual Controls. Priced with skirt and adjustable arms. Available in Leather, Ultra-Leather, Vinyl, and Durable Fabric. Color: Call for options and availability. 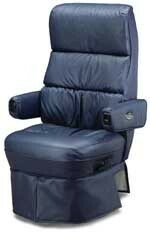 Call us to discuss your RV furniture upgrade and order your Captain’s Chair for delivery. Want us to install? Schedule and appointment for installation at our modern and complete service facility. 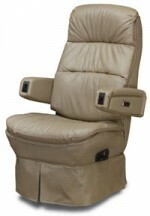 We provide RV Furniture, Interior Design, and Remodel. We offer Sales, Service, and Install of RV Furniture, Shades, Flooring, Electronics, and Cabinetry. Many Fabrics, Finishes, and Colors are available. © Dave & LJ’s RV Furniture. All Rights Reserved.